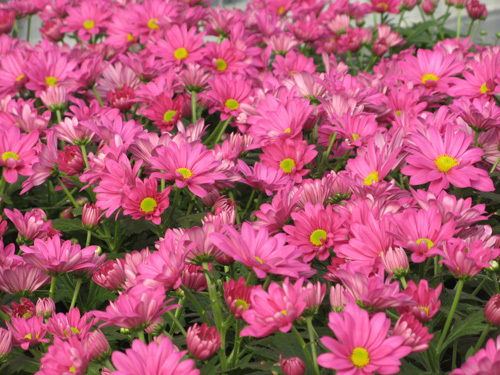 to become a year-round supplier of quality flowers, plugs and cuttings. We recently finished construction of an additional greenhouse range, which includes a temperature controlled order staging area to ensure proper handling of our plants, even during cold winter months. We strive to utilize the most current growing practices and greenhouse technologies in order to maintain efficiency and reduce costs. This enables us to give our plants ample growing space and offer the highest quality to our customers at affordable prices. W.D. Henry & Sons has the knowledge, experience and space to manage your custom growing needs. Whether it’s rooted cuttings, plugs, un-pinched poinsettias or a full custom plant program, we can handle it. Contact Us today to discuss your specific needs. Order Forms may be submitted via phone, fax or email. Once your order has been placed, we will contact you to schedule pick-up or delivery. Please note that we are wholesale growers and do have minimum order requirements for both pick-up and delivery. If you prefer delivery, please also refer to our Shipping Radius to verify that you are within range of our trucks. Thank you and we look forward to helping you with your wholesale flower needs!